A partnership between the University of East Anglia (UEA), the Paston Heritage Society and other community groups will bring one of Britain’s most prominent medieval families to life for future generations. The Paston Footprints 600 project is an opportunity for anyone interested in literature, history, genealogy, landscapes, dialect, or architecture to collaborate with researchers endeavouring to reveal more about the family whose influence continues today in Norfolk and beyond. Initial support from the Heritage Lottery Fund (HLF) for the development of the community research project was announced today. The Pastons were Norfolk’s leading family from 1380-1750, rising from medieval peasants to eventually become merchants and lawyers, and enter the European battlefields and Tudor courts. Moreover, their correspondence represents what’s believed to be the earliest collection of family letters anywhere in the world, relating not only their patronage of early literary figures and dealings with aristocracy around Britain and abroad, but also petty familial infighting and intrigue. Many of the medieval Paston letters are held by the British Library, but the Paston Footprints 600 project aims to examine and digitise the family’s correspondence from the 16th and 17th centuries, held by the Norfolk Record Office (NRO). It will be the first ever large-scale community project to uncover specific local links with this influential family. The project leads into 2018, which marks the 600th anniversary of the first Paston letter, when a major festival and exhibitions will be held Norwich and Norfolk. The University and other partners will provide skills training for volunteers on how to access and interpret archives, buildings, landscapes, monuments, tombs, heraldry and objects. This material will form narratives for 10 heritage trail walks around Norfolk, as well as inspiring creative writing, drama, artistic displays and celebratory events. The digital creations, including 3-D modelling of important Paston buildings such as Mannington Hall, will be created by and for the communities to preserve, record and interpret the family’s rich heritage. The project is supported by an initial £13,000 development grant from the HLF, in partnership with community and heritage organisations including the NRO, the Norfolk Heraldry Society, Community Action Norfolk, Hungate Medieval Art and Active Norfolk. Dr Karen Smyth, a senior lecturer in medieval and early modern literature at UEA, is leading the project, in partnership with the Paston Heritage Society. Dr Smyth said: “The Pastons tell the story of Norfolk through hundreds of years, illustrating the change from people working in the fields to members of the family becoming successful merchants and influential and powerful lawyers. They married across all sections of society, and influenced the Norfolk dialect and the history and culture of the county. “The project aims to digitise the 16th and 17th century collections held in the Norfolk Record Office, allowing online public access to the collections for the first time. Working with heritage, tourism and educational sectors and communities across Norfolk, the Paston Footprints 600 project will have key hubs in Norwich, Paston, Bacton and North Walsham. Dr Rob Knee of the Paston Heritage Society said: “Anyone can help us discover links and share the remarkable story of the Paston family, from the smallholdings at Paston village to the glittering halls of their heyday. The project team is looking for more volunteers and partnerships with schools and community groups. A volunteer day will be held on 3 September at UEA. Our Victorian murder mystery A Seaside Mourning is on sale for just 99 pence/cents on Amazon Kindle for this week only. Please click on the link below to order. We’ve just started writing the next Inspector Abbs novel, which will be set in London. This should be out by the end of the year. The second Abbs mystery, a novella, A Christmas Malice, is also available on Kindle and in paperback. An atmospheric Victorian murder mystery set in Devonshire in 1873. In the sleepy seaside resort of Seaborough, a leading resident may have been poisoned, Still coming to terms with his own mourning, Inspector Abbs is sent to uncover the truth. Behind the Nottingham lace curtains, certain residents have their secrets. Under growing pressure, Abbs and Sergeant Reeve must search the past for answers as they try to unmask a killer. Last year marked the centenary of the first book publication of John Buchan’s classic thriller. I blogged on the book itself on March 19th 2015 in celebration. But I want to recommend to you a quite excellent book about the background and genesis of The Thirty Nine Steps, which I’ve really enjoyed reading. 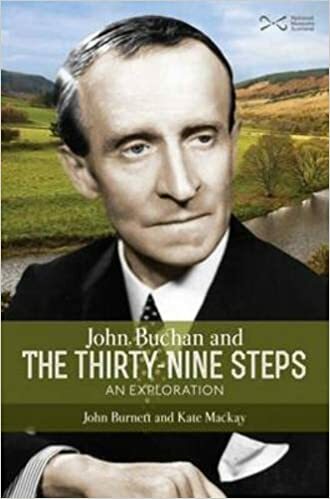 The title is John Buchan and The Thirty-Nine Steps – An Exploration by John Burnett and Kate Mackay, published by National Museums Scotland. If you enjoy reading Buchan as much as I do, you’ll love this book. The authors begin with a brief biography of Buchan himself, before examining the thriller in considerable detail, looking at the book’s origins, describing the events within chapter by chapter – there are spoilers here, so I would recommend that you read the thriller first if it’s new to you. If you’ve ever thought of writing your own thriller you’ll find this book quite inspirational; it takes you on a journey across the Galloway and Borders landscape through which Buchan’s hero Richard Hannay escapes his enemies, look at the characters of the various Scots he meets on the way, takes an in-depth look at the way disguise is used in the novel, and investigates pre-Great War espionage and its links with the chase thriller. There are a number of nods in the direction of other Buchan thrillers as well, so the devotee of his work will find much of value here. John Buchan is only now getting the reputation he deserves as an important writer of Scottish fiction. It is good to see the appearance of books like this which examine his work with such readable scholarship. Three of my books on walking and the outdoors will be on sale for just 99 pence/cents on Kindle for the next week. And remember, you don’t need a Kindle as such. You can download a free Kindle App to your computer, tablet or phone. 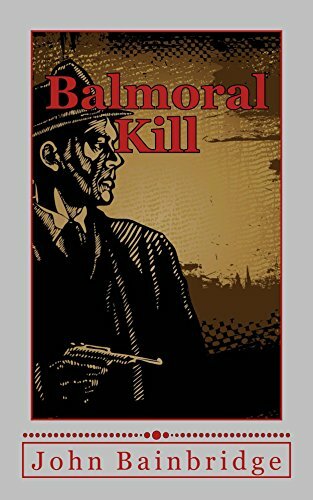 Just click on the links below to find out more about each book and order, John B.
BALMORAL KILL ON KINDLE – ONLY 99 PENCE/CENTS THIS WEEKEND – and you don’t need a Kindle. Just download the free app for your laptop, tablet or phone via the link at the foot of this blog. 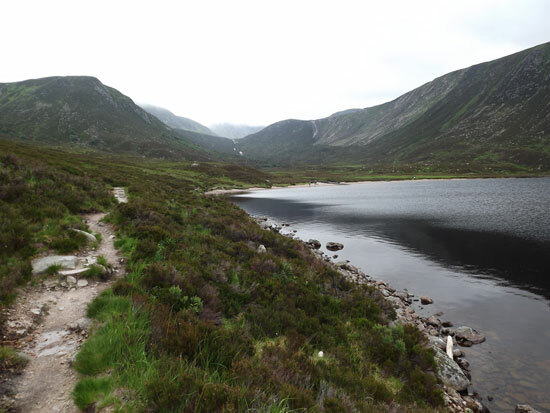 As a hillwalker who also writes novels, I always like to root my plots and characters in a real landscape whenever that is possible. I might alter it, fictionalise it, or just change the odd feature – but I like to start with a reality. And at some point in my fiction I like to use an actual place I know, walk around it and imagine my characters playing out their adventures upon it. 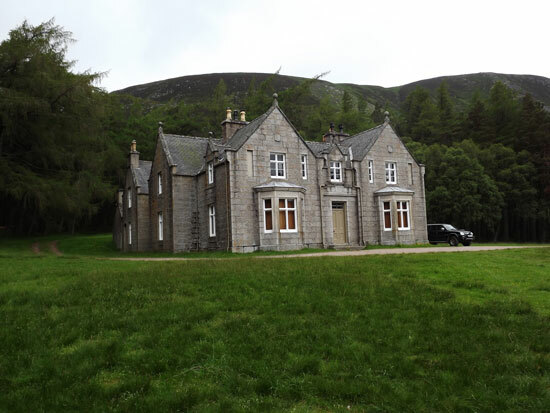 So the summer when I was writing the book, when we were staying in Ballater, we walked up to take a look, circling the loch and examining the wild mountains and tumbling rivers round about. Plotting a gunfight (even a fictional one) takes some care. I wanted it to be as probable and realistic as possible. This is, after all, a book about experienced assassins. I wanted the line of sight of every rifle to be exact. 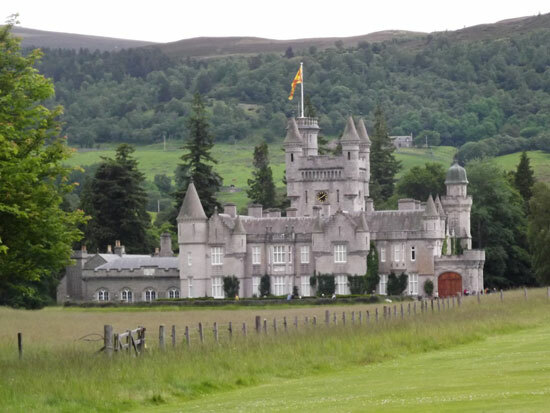 If you haven’t yet read Balmoral Kill please do give it a try. It’s out now in paperback as well as in eBook form on Kindle. I’d be pleased to know what you think of it. 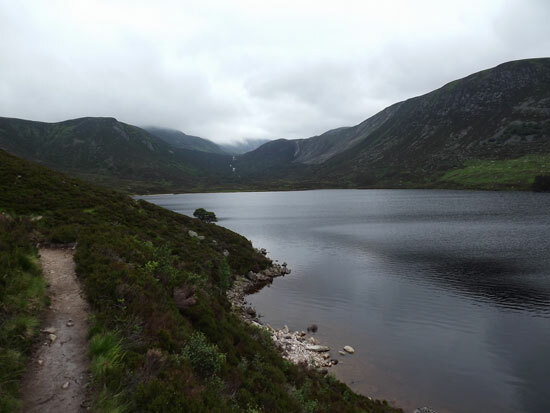 And if you ever do get the chance do take the journey from Ballater up to Loch Muick. It’s well worth while. A couple of years ago I wrote the first adventure of a Victorian vigilante called William Quest, a gentleman adventurer with a swordstick who seeks to right wrongs and even up the injustices of society. William Quest has pleased me by his popularity and the book has achieved good sales, not only in his home country but in the USA and several other lands around the world. A big thank you to everyone who’s bought a copy, told friends about it and left reviews on the online sites. If you’ve enjoyed the book and haven’t left a review on the online sales site please do. Every good review helps with sales. At the moment I’m writing the sequel. Hopefully it should be out in about August. There will be several more William Quest adventures, all being well. The new book doesn’t yet have a title, though it will certainly be ‘the something of William Quest.’ Normally I get the title for my books quite early on, or at least a working title. Sometimes, the title is the first thing that actually comes along, inspiring the whole plot. But this new Quest is proving difficult. At the moment he’s filed as “Quest the Second”. I gave away virtually the whole of Mr Quest’s back story in the first novel, explaining why he decided to take the law into his own hands, fighting for truth and justice and so on. So in the new book we start with a completely clean slate. Many of the characters from ‘Shadow’ make a re-appearance, and there are a number of villains waiting to be vanquished. There was also going to be another major character, dominating a sub-plot of the novel. I wrote a number of scenes with this character, before realising he’d wandered into the wrong novel. And yet those thousands of words written are not wasted. This character will encounter William Quest – just not yet. “The Shadow of William Quest” had multiple settings – London, Norfolk and Hope Down, and covered quite a period of time. But the new Quest will be set entirely in a very dark and sinister London, over just a few weeks, as Quest faces some very deadly enemies. Danger is lurking down by the Thames, and not just in the rookeries of London. So do follow this blog for updates. When you think about it a large proportion of published thrillers are about revenge. It is one of the great sub-genres of fiction. Vengeance is a considerable motivating force. And the quest to mete out vengeance keeps many a reader turning the page. Admirable, but not quite what thriller readers want to hear. I was amused at a recent Amazon review of my Victorian thriller “The Shadow of William Quest”. The reviewer suggested he had seen it all so many times before. The poor boy making his way in the world and seeking retribution against those who had crossed him. Too right you have, chum! That was the whole point of my Quest novel. I deliberately set out to write a book in this very sub-genre of revenge thrillers. That’s what my William Quest book is really all about. It’s not for nothing my anti-hero is called William Quest. I was gratified that the reviewer saw, and mentioned in his review, that it was Bruce Wayne and Batman territory. A terrific compliment to be mentioned in the same sentence. Remember Batman? Bruce Wayne, a young lad at the time, sees his parents gunned down in an alley. When he grows up he becomes the caped crusader imposing his own version of justice on sundry villains. In a nutshell there you have the basic plot of a revenge thriller. It might be as blatant as Batman or rather more subtle. Geoffrey Household’s classic thriller “Rogue Male”, opens with the unnamed hero in Germany, aiming his rifle at Adolf Hitler. The first-person narrator describes his actions throughout much of the book as a ‘sporting stalk’ – to see if he can get away with it. He even denies ever intending to take the shot. Only later do we discover the revenge thriller aspect. That he had every intention of shooting. And that he has a good reason for doing so. In his later novel “The Watcher in the Shadows”, Household twists the whole premise around by telling the whole tale from the point of view of the victim of the avenger, a novel and very exciting twist. Another neglected novel well worth seeking out. Even going back to medieval ballads, we have Robin Hood. Why is he in the greenwood as an outlaw? Because the Norman overlords have put him there because of their harsh laws. Much of the rest of the stories of the famous wolfshead are about his quest for vengeance. My Robin Hood novels “Loxley” and “Wolfshead” certainly are. The motivations in the modern revenge thriller are manifold. The hero, or very often the anti-hero, might be fighting back for very personal reasons. Someone has wiped out his family, or launched a war of attrition against him personally. Or he might be what I call a second-person revenger, where he seeks vengeance or at least intervention for something that’s happening to somebody else, but where he is emotionally or politically engaged. My William Quest might take up the armed struggle of vengeance to settle personal scores, but he then goes on to recognise that there are other victims in society who might benefit from having an avenger on their side. One of my American reviewers kindly mentioned Rafael Sabatini’s “Scaramouche” as well as Baroness Orczy’s “Scarlet Pimpernel” novels when trying to describe my Quest novel. I was very flattered at such comparisons. “Scaramouche” is a wonderful example of the revenge thriller. It might technically be an historical novel, but at its roots it is one hell of a thriller. Set just before the French Revolution Andre-Louis Moreau is set on the path of vengeance by the murder of a friend by a decadent aristocrat who just happens to be the finest swordsman in France. He swears revenge. And then spends much of the book getting himself into a position where he might strike back at his adversary, and solving the knotty problem of just exactly how you teach yourself to cross swords with such a noted duellist. It’s all cracking stuff, a real page-turner by a novelist who is sadly neglected these days. It’s worth reading as it demonstrates quite admirably the plot-structure of the revenge novel, whether you describe it as a thriller or not. And the avenger can very successfully be a woman, and the plot domestic. A great example is Magdalen Vanstone in Wilkie Collins’ classic novel “No Name”. Here the need for vengeance comes from the the unfair laws on illegitimacy that prevailed at the time. Collins was the master of the Sensation Novel. Thrillers have deep roots in those Victorian Sensation novels. And if you want a thriller to work you need to build up very slowly to the final vengeance, the bloody denouement. That doesn’t mean that the novel should be devoid of conflict up to that point. There have to be lots of other minor conflicts, near-misses, moments when the tables are turned. Times when those who are targeted by the avenger come close to removing – usually violently – the avenger himself. In a way I made this easier for myself in “The Shadow of William Quest” by making Quest a kind of social functionary, taking on the evils – and the evil – of society on behalf of a wider and persecuted population. He only gets near to his real quarry at the end of the book. Though there are run-ins long before that. And as my novel is set in the 1850s, we don’t have to bother very much with the constraints of political correctness. This was the age of sword-sticks, lead-weighted life-preservers, bludgeons, coshes, and great hulking walking canes of hard-wood and blackthorn. Society was unsafe. People rarely travelled into the sinister hinterlands of Victorian England without some form of protection. My William Quest has quite an armoury at his disposal. Believe me, he needs every last weapon! I’m currently writing the second William Quest novel, which will be out later in the year. Having devoted much of the first to the genre of the revenge novel, I’m aiming to go even further in the new one. I always have liked thrillers where the hunter becomes the hunted. Which is all I’ll say about it at the moment. But to conclude, I would just like to make the case of the revenge thriller being an important sub-genre of the thriller as such. Revenge is a dish best served cold? Maybe, at least for a while in the pages of your novel. The dish best served cold builds up both the tension and the excitement. So that when the cold revenge becomes the hot revenge, the thrills burst out of the page. If you haven’t read “The Shadow of William Quest” yet it’s out in paperback and on Kindle.